Groups A (primary education), B (secondary education), and C (higher education) presented excellent summaries. Brian Gallant, Chair (Member of the Legislative Assembly of New Brunswick and former premier of the province) and Jon Yates, rapporteur (Policy Special Adviser to the Secretary of State for Education, England) spoke for Group A. Group B was ably represented by chair Raaheela Ahmed (Prince George’s County Public Schools board member) and rapporteur Pamela Dow (Chief Reform Officer, Catch 22, a non-profit community development agency in London). 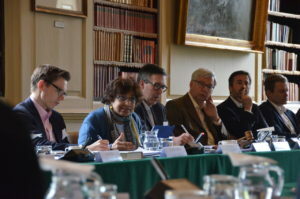 Indira Samarasekera, (Liu Institute for Global Issues, University of British Columbia) served as chair of Group C, supported by rapporteur Edward Brooks (Executive Director of the Oxford Character Project). Participants listened intently, taking notes, paying close attention to what was being said, while adding commentary and introducing new insights. 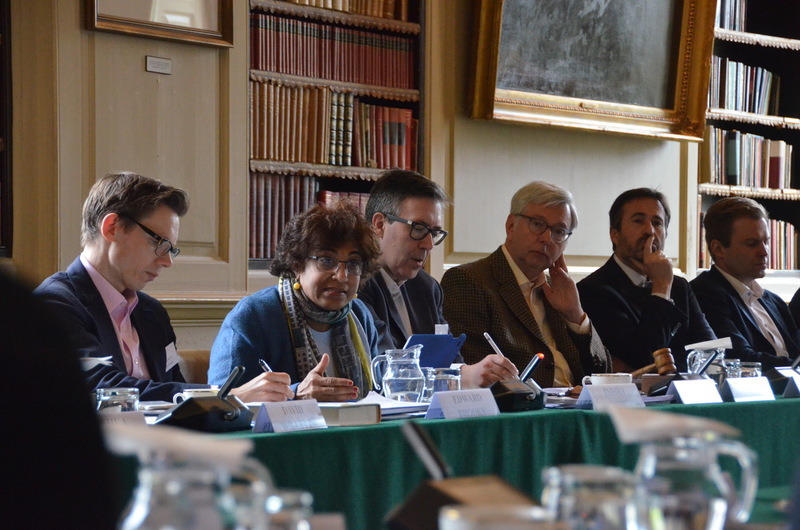 Below, Indira Samarasekera (University of British Columbia) brings focus to a discussion. To her right is Edward Brooks (Oxford Character Project), to her immediate left, in order, James Arroyo (Director of the Ditchley Foundation); Professor Stephen Toope, (Conference Chairman and Vice President of the University of Cambridge); John Stackhouse (Senior Vice President, Royal Bank of Canada); and Brian Gallant (former premier of New Brunswick). 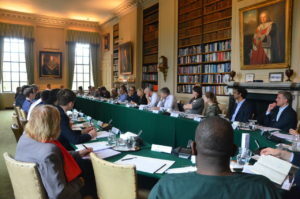 Some discussion arose around the relative lack of attention to technology in education, with some feeling it was one of the great hopes of the future and others worried about privacy implications and the effectiveness of much of the technology that is on offer. An emollient solution suggested the need for authoritative vetting of emerging technologies. Below, the Roundtable’s James Harvey chimes in on technology. To his right are Ellizabeth Esty, (former Congresswoman from Connecticut’s 5th Congressional District) and Ethan Gudge (Sixth Form student, The Warriner School, Bloxham, England). To his left Tony Hawks (a professional comedian who serves as an ambassador for Britain’s National Literacy Trust) and Paul James (Chief Executive Officer, River Learning Trust, England). In an intellectual tour de force the conference rapporteur, John Stackhouse, Senior Vice President, Royal Bank of Canada, outlined his plans for a summary report that would focus our discussion in terms of traditional journalistic questions: Who? What? Where? Why? And When? Who? Who is education for? It is for all. There are issues of who controls it — teachers, students, parents, or the people who pay for it. But there seems to be agreement that we need to invest more in students, while protecting education from increasing politicization. Leadership is essential. 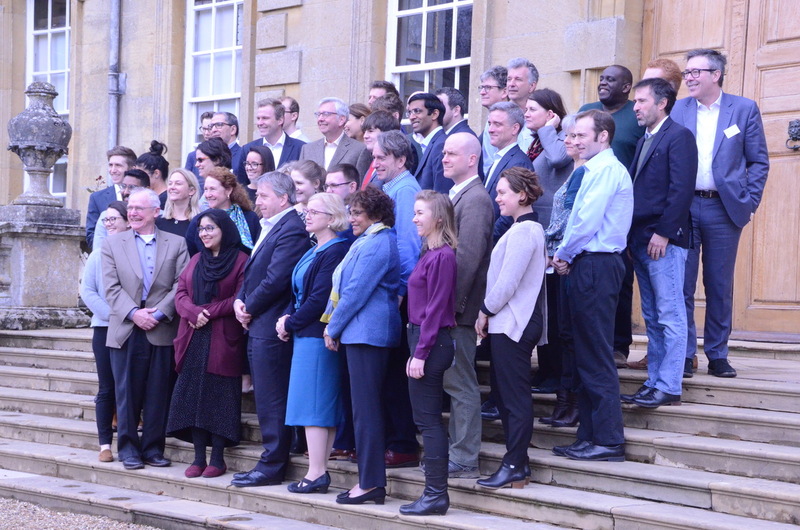 Perhaps a Ditchley Prize for outstanding educators is warranted — while we should give some consideration to a Bretton Woods-like international convocation to examine the “what” of education. What? 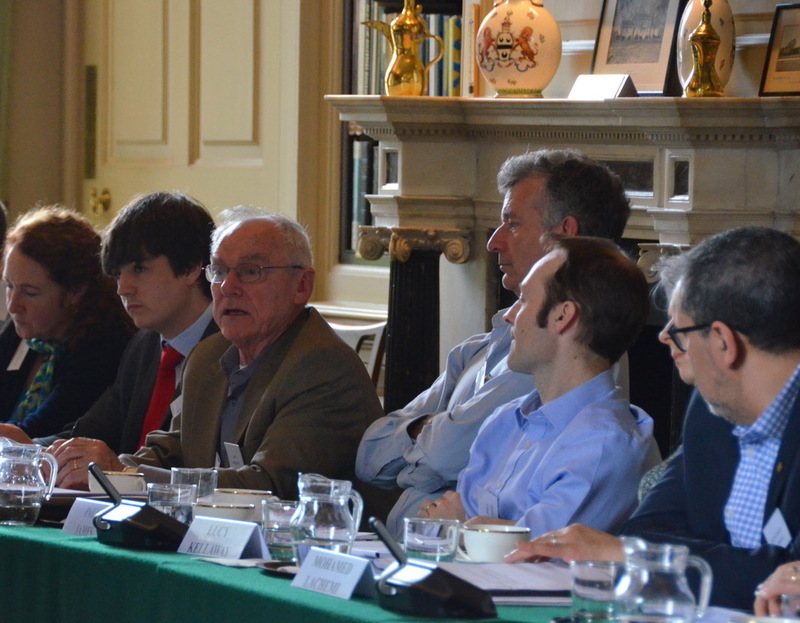 What would this Bretton Woods Conference do? It should set out to ensure confidence in the system by examining content, setting international standards, measure how well we are doing, and focus on the transmission of knowledge from one generation to the next. Where? Schools and universities need a place. And places need schools and universities. We need more attention to digital and virtual transmission of knowledge, but education is primarily about relationships. Convening is important as we learn from the pull and tug of different opinions and debating issues. It would be useful to consider how to create an international system that takes education outside school walls and introduces new programs in, for example, retirement communities to offer increased learning opportunities to the elderly and perhaps inter-generational learning programs that introduced retirees to young children, to the benefit of both. Why? The answer is clear, the challenge of change, and cited in every major report on education for decades. It is particularly critical today as we live on the hinge of history where machine learning and artificial intelligence promise to transform the world. We are not adequately addressing the issue of the relationship between education and technology. When? There is a real issue that we are conducting schools and universities around an agricultural calendar. MOOCs (Massive Open Online Courses ) have their challenges, but offer some promise for the future. We should be examining not only new locations but new options for the time in which education and training are offered to young and old alike. 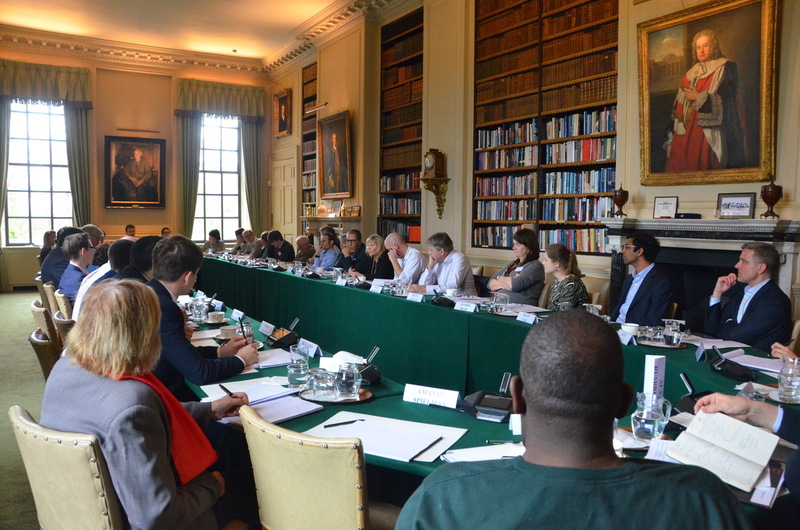 With that, the attendees agreed that they might have done more about the rise of education around the world, outside North America and Great Britain, while paying more attention to diversity in all its dimensions. 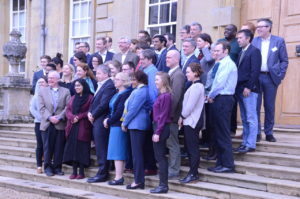 But they adjourned for a group picture on the Ditchley steps with a sense that education and access to schooling for more and more people had been essential to the long history of humanity’s progress, and a hope that the summary statement might outline a blueprint for how to look to the future with confidence.